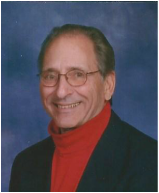 Alan R. Fuess - Perry-Komdat Funeral Chapel, Inc.
Averill Park- Alan Reynolds Fuess, 73, died on Thursday, June 18, 2015 at his home of gallbladder and liver cancer. Born on October 17, 1941 at Methodist Hospital, Brooklyn, NY, he was the younger son of the late Rev. Forest and Ruth Reynolds Fuess. Growing up in northern New Jersey, he never lived anywhere more then five years as his dad was appointed to larger churches. Alan was always interested in theatre and performing. An early stage appearance found him in a Tom Thumb wedding in the third grade. He played a Board of Education member attending the ceremony, conducted by a minister played by Alan’s brother, Gary. Also at a younger age Alan helped raise money for polio research by putting on a puppet show in the basement of his father’s church. In 1962, Alan graduated from the American Academy of Funeral Service and became a licensed funeral director in New Jersey working in this business for five years. After moving to Nassau, NY, he graduated from the evening division of Russell sage College with a Bachelor of Science and later a Master of Science in Elementary Education. His entire teaching career of 26 years was spent at the Schodack Central Schools where he taught two generations of 4th and 5th grade students. He said he took early retirement before the third generation showed up. He was known as a strict but caring professional who was a role model for his students. Alan was very active in the Averill Park area. He was a charter member of the Sand lake Historical Society and held many offices in it, including chairing two local house tours. He was also a charter member of Circle Theatre Players, a community Theatre group. He acted in many plays and eventually turned to directing. He received several awards from the New York State Theatre Association for his acting and direction. He served as a board member of C.T.P. for a long time. Alan was a ling time member of Church of the Covenant (United Methodist) in Averill Park. He served on numerous committees and made hundreds of candles for use in the church sanctuary and for sale at the annual Christmas bazaar. He was a familiar and friendly helper at his collectibles booth at the bazaar. His love of church music was well known. Alan was a busy man whose heart was always with his home and family. A real neatnick, he spent much time caring for his house and yard-and clean car. He joked that he was the standard for the neighborhood. Survivors include his loving companion Grace Bourdeau, son Jared (Tina), grandsons Alex Myers, Sam and Colby Fuess, brother Gary (Alma) and several cousins, nieces, and nephews. He is also survived by his lifelong friend Joan Fuess plus his many church and community families. Calling Hours will be held at the Perry-Komdat Funeral Chapel 2691 NY 43 at Glass Lake, Averill Park on Saturday June 27th from 4-7 P.M. Funeral service Sunday June 28th 3 p.m. at the Church of the Covenant United Methodist 3055 NY 43. All are invited to attend a reception in the church social hall following the service. Interment will be private in the family lot in Madison Cemetery, Madison, NY. Memorial donations may be sent to the Church of the Covenant Memorial Fund, P.O. Box 306, Averill Park, NY 12018.